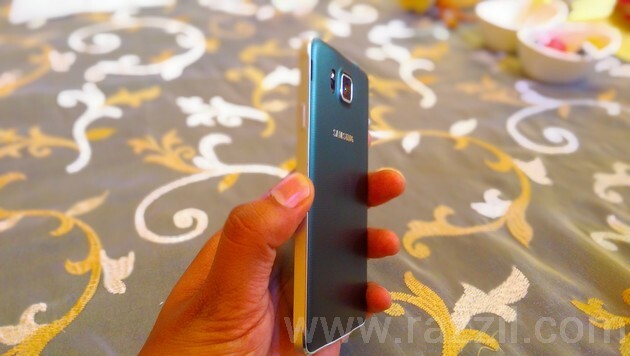 Samsung India has launched its first metal Smartphone in India for the price of ₹ 39,990. HTC pushed Samsung to start building the device that should feel premium from both inside and outside. 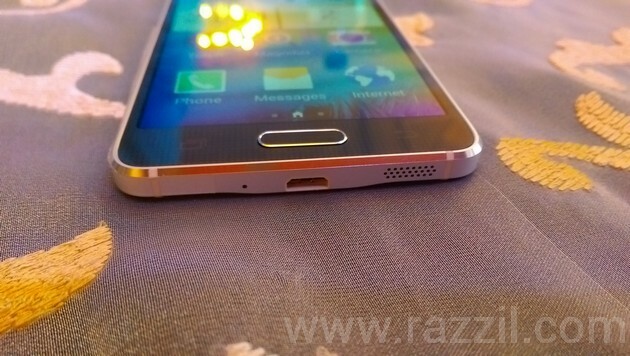 The Samsung Galaxy Alpha features a metal frame, elegantly curved corners and a tactile soft back cover. 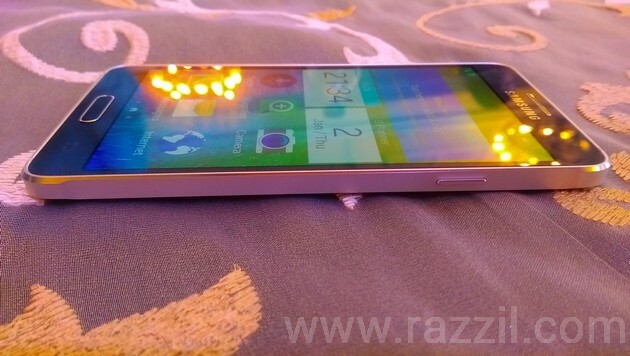 The Galaxy Alpha is the slimmest device ever made by Samsung, the device is 6.7 mm thin. Samsung Galaxy Alpha has 4.7-inch HD Super AMOLED Display with 1280×720 resolution, 2.5 GHz Octa Core processor, 12 MP rear and 2.1 MP front camera. In storage, phone features 2 GB of RAM and 32 GB of Internal Memory. 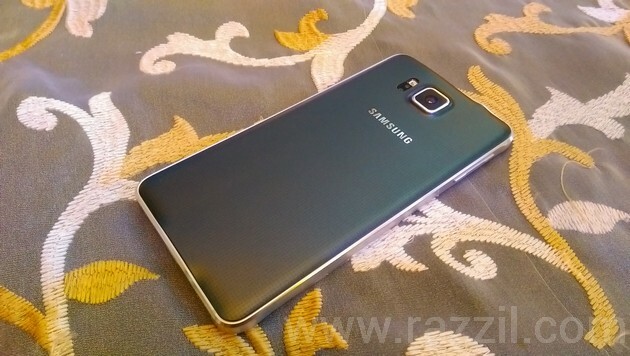 There is no MicroSD card slot and phone runs on Android 4.4.4 KitKat with Touchwiz UI. The 1860 mAh battery power the phone, which seems not enough to power the phone for longer time. The Galaxy Alpha also features like Ultra Power Saving MOde, S Health, FFingerprintScanner, Private Mode, Heart Rate Monitor and connectivity with the latest Gear Fit, Gear 2, Gear 2 Neo and Gear S.
Galaxy Alpha has Metal body like HTC One M8? No, Samsung still hasn’t given up with Plastic, Galaxy Alpha has only metal RIM, the back cover is still made up of plastic but with a matte finish which looks slightly better than glossy plastic. But Again, It’s Welcome move by Samsung as they start caring for phone design. In India version, Samsung again uses Exynos Octa-core processor, which is powerful enough, but not that efficient than Qualcomm one. The Samsung Exynos processor is good, but still I prefer Qualcomm Quad-core processor, which gives you performance, battery efficiency and power charging. Another con of Galaxy Alpha is battery capacity, it comes with 1860 mAh Battery. Samsung using deadly combo here Low capacity battery + Super AMOLED Display + Octa-core processor. I doubt battery performance will not be that good. 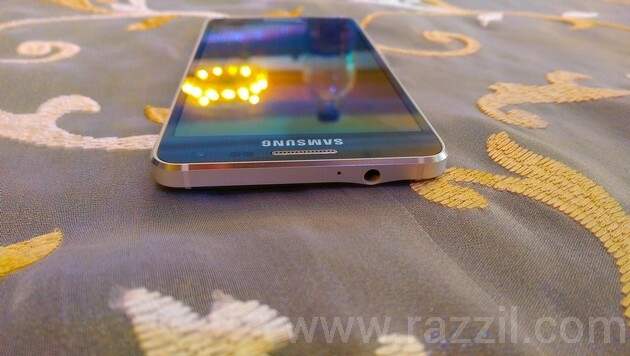 Samsung Galaxy Alpha is using 4.7-inch Super AMOLED display with 1280 x 720 resolution. The display is not doubt superior, but with the price point of view, consumers will expect Full HD Display at that price. But I think it’s fine as battery capacity is not that much to power the display for a long time. Samsung did the design part right, but from inside, Samsung is still using the old touch wiz which is again not up to the mark as per design guidelines and loaded with bloatwares. In a storage part, Samsung is using 2GB of RAM and 32GB internal storage. There is no MicroSD card slot. Out of 32GB of storage, only 24 GB of space is available for the users. The Galaxy Alpha comes with 12 MP rear camera with Ultra HD 4K video recording, Auto HDR, Panorama and Selective Focus which focus on subjects only and the rest of the part will be blurred out. It’s a similar feature like Ufocus on HTC One M8. In front, the phone has 2.1 MP camera. The camera is fantastic and did really good job. I tested the camera in low light. The Selective focus also works well, but you’ve to hold your hand steady while capturing that shot. 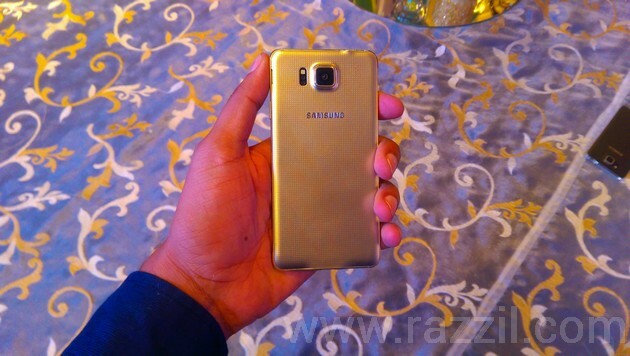 Samsung Galaxy Alpha will be available in India from 1st week of October at a price of ₹ 39,990. The phone is available in Black, White and Gold colors. 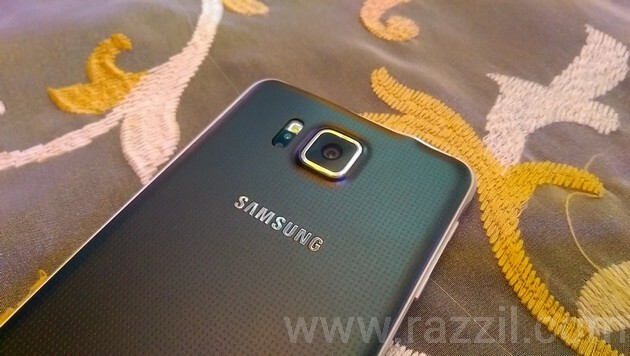 Samsung also partnered with Airtel to offer 5 GB of free 4G LTE data for two months. No doubt, Samsung improved the design, but forgot the important aspects of the smartphone: Battery, Efficient Processor, Display and Price point. 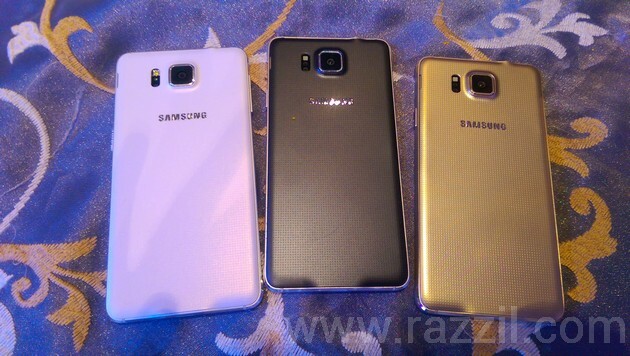 Galaxy Alpha price is a bit higher. Users can buy better smartphone at that price.